In 2003, ITM published an article about adverse liver reactions that had been reported in association with use of Chinese herbs for treatment of eczema, in which I proposed that the herb dictamnus (baixianpi or Bai Xian Pi) was a likely culprit (for details see: Safety Issues Affecting Chinese Herbs: The Case of Dictamnus and Herbs for Skin Diseases). These treatments for eczema (atopic dermatitis) were highly effective and, in most cases, well tolerated, but over a period of a decade, a number of cases of severe liver inflammation were attributed to the regular use of the formulas. 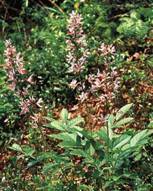 Dictamnus had been a common ingredient in prescriptions from different Chinese herb doctors. Most of the hepatic reactions were being reported in London. Fortunately, these liver reactions were reversible with halting consumption of the herbs. As part of the article on this problem, I also reported on other adverse reactions to herbs that had appeared in the literature around the same time, and included an appendix with a table of herbs (western and China) for which one or more reports of adverse liver reactions had appeared. The report on dictamnus, with mention of the other herbs, was provided to about 600 members of ITM’s START Group (as part of a three times per year mailing of articles) and was posted on the ITM website, in its section on herb safety issues. Along with producing the 2003 report about the potential of dictamnus to be a contributor to rare but serious cases of liver reaction, this herb was removed from formulations produced for ITM (Seven Forests), including one which had named for the herb—Dictamnus 13—and which was based, in part, on the reported successful treatments for eczema both from England and China. The reformulation work appeared in the revised (and current) edition of the ITM book A Bag of Pearls, 2004. Authors: Jong Soon Jang, et. al. Abstract: We report four cases of toxic hepatitis that occurred after taking a decoction made by boiling down the root of Dictamnus dasycarpus. The four patients had a median age of 60 years, common symptoms of jaundice and general weakness, and stated that they had not consumed alcohol for at least 5 years. The markers of hepatitis A, B, and C were all negative in the patients. Abdominal ultrasonography revealed common bile ducts with normal diameters. Two of the cases were a mother and daughter, and the other two were sporadic. All of them had consumed a decoction made by boiling down the root of Dictamnus dasycarpus five or six times daily until several days before admission. Dictamnus dasycarpus induced liver injury presenting with a benign course lasting less than 1 month after cessation of the causative agent. We suggest that this natural product can cause acute hepatitis in rural areas. Background/Aims: The aim of this study was to investigate the clinical features of acutely toxic hepatitis associated with ingesting Dictamnus dasycarpus (D. dasycarpus). Methods: Between January 2004 and July 2009, 28 patients were enrolled in this study. We reviewed the medical records retrospectively. Acutely toxic hepatitis associated with D. dasycarpus was diagnosed by a Roussel Uclaf Causality Assessment Method Values (RUCAM) score of 6 or above. All patients were tested for viral hepatitis A, B, C, cytomegalovirus, and Epstein-Barr virus. Other tests included anti-nuclear antibody, anti-mitochondrial antibody, and anti-smooth muscle antibody. Abdominal pelvic computed tomography was performed. Results: The incidence was female predominant (64% vs. 36%). The mean patient age was 53.0±11 years. The symptoms were jaundice (68%), fatigue (57%), nausea (43%), anorexia (43%), and abdominal pain (24%). The mean RUCAM score was 7.0±0.8. The biochemical patterns of hepatotoxicity were hepatocellular (n=23, 82%) and mixed types (n=5, 18%). Radiologic findings were as follows: normal findings (29%), lymphadenopathy (50%), edema of the gall bladder wall (46%), periportal edema (43%), splenomegaly (11%), fatty liver (11%), and ascites (7%). The mean hospitalization period was 21.6±11.6 days. The mean duration of recovery from hepatitis was 56.6±30.4 days, and all patients recovered completely from the toxic hepatitis. One patient who had severe jaundice developed a complication of pure red cell aplasia during the hospitalization period. Conclusions: The biochemical pattern of liver injury was hepatocellular predominant. Although the initial manifestations and clinical course were variable, all patients completely recovered with supportive care or steroid treatment. Toxic hepatitis was accompanied by pure red cell aplasia in one patient. Although it is not possible to conclude that all 28 cases of liver reactions were definitely due to ingestion of dictamnus (baixianpi), the number of cases involved here, coupled with the experience reported in England, provides strong support for the contention that dictamnus consumption poses a risk with prolonged use. Given the high level of utilization of the herb in treating skin ailments, one can judge that the cases are rare and idiosyncratic, but the severity of the liver reaction is evident by the frequency of jaundice accompanied by nausea, anorexia, and abdominal pain. Although the liver injury was reversible, it is possible that some individuals do not stop using the herb in reasonable time or have other contributors to liver disease that can lead to liver failure. In a 2008 report in the Journal of the Korean Society of Clinical Toxicology (Sohn CH, et.al., 6(2):110-116), records were reviewed of 24 patients who had received liver transplants after liver failure that was attributed to herbal medications. In this report, two cases were said to be due to dictamnus. Based on the ITM report about potential liver reactions to dictamnus posted on the ITM website, an individual (not in the U.S.) who suspected suffering from such a reaction contacted ITM with details. He had been prescribed a Chinese herbal formula for severe facial seborrheic dermatitis by a Chinese medicine practitioner who specialized in treating skin disorders. The formula had a prompt beneficial effect on the skin condition, with improvements noted within about two weeks. This same prescription was taken daily for six months until symptoms of liver toxicity appeared. The herbs were not suspect at the time and tests were run for potential causes (such as viral hepatitis), but he suspended use of them for several days, at which point the seborrheic dermatitis returned, so the herbs were resumed. The liver conditions were again tested and lacking other evidence for causation, the doctors suggested a possible link to the use of herbs, which were then discontinued. The liver enzymes and total bilirubin tests continued to worsen for two more weeks after cessation of herb ingestion, and then declined dramatically over a period of several weeks. At the peak of the liver reaction, the ALT was 2406, AST 1497, and TB 16.2. The temporal pattern is consistent with what is described in the Korean report, in that from the time of experiencing obvious jaundice until the peak of liver inflammation and then obvious improvement was about five weeks (including the few days of resuming herb use), which is similar to the hospitalization period in Korea, reported at about three weeks, and the recovery time of about two months is also in keeping with the experience of the patients in Korea. Although dictamnus may contribute to the high level of effectiveness of the Chinese herb treatment of skin diseases, and while the herb also has shown some promise for other health benefits according to recent research (e.g., neuroprotective action), this is an herb with some risk. It is here proposed that dictamnus should be deleted from commercial products, that is, from those fixed formulations sold either to the public or to practitioners of Chinese medicine. Further, any use of dictamnus in personalized Chinese herb prescriptions should be accompanied by an appropriate warning to the patient and monitoring of signs of liver reaction if the herb is to be used long term. Appearance of liver reaction signs, especially jaundice, in a patient utilizing dictamnus should lead to immediate cessation of use of the herb, which should not be resumed later. As a general rule, practitioners of Chinese medicine who are not able to monitor the patient closely should not prescribe this herb and dictamnus should not be given to patients who have compromised liver function.